Home > Posts tagged "bgca"
The Boys & Girls Club of New Haven would like to take a minute to thank everyone who came out for our Ribbon Cutting Ceremony. 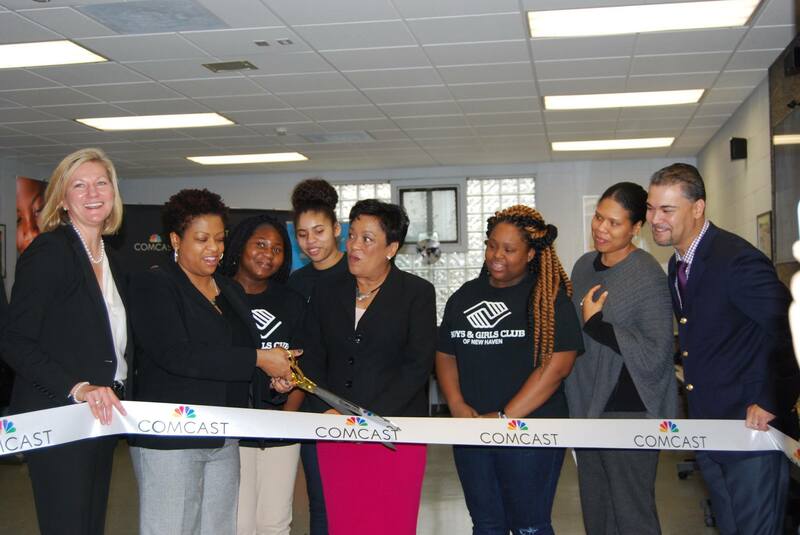 A special shout out to Comcast and NewAlliance Foundation for funding this project and Mayor Toni Harp for speaking at the ceremony. The Center of Innovation will give club members access to a state-of-the art “Technology Center” with a focus on STEM (Science, Technology, Engineering and Math), which is a key strategy of our The Great Futures Campaign. In addition, the Center will allow the Club to roll out more programs, like the My.Future technology initiative, a cutting-edge technology education program that provides hands-on experience and enables Boys & Girls Club members to select from more than 40 activities to help them understand how to safely and productively engage online, and identify and develop digital interests – from Internet basics for technology beginners, to robotics, coding, game design and online journalism for advanced learners. Comcast is the Presenting Sponsor of the My.Future technology initiative and in 2015, the Comcast Foundation invested more than $3 million in Boys and Girls Clubs of America’s (BGCA) My.Future technology initiative. Please click on the following links to view our progress.